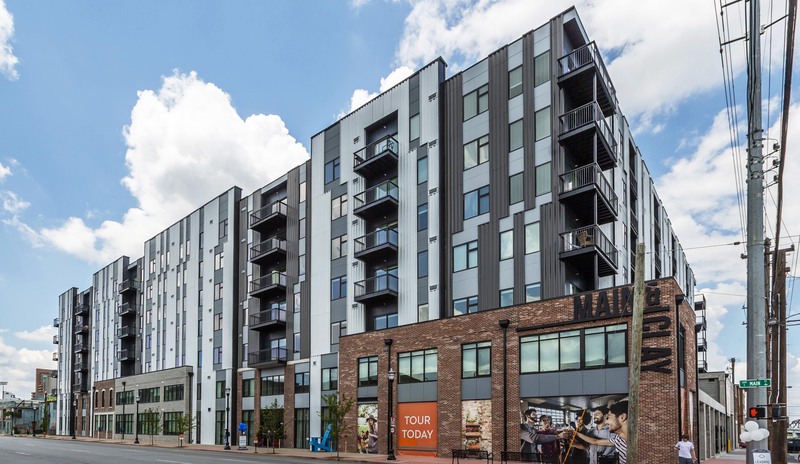 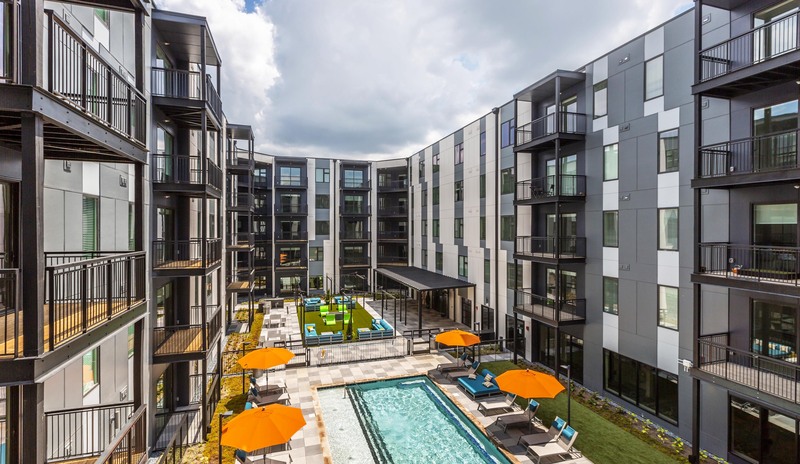 Doster Construction Company completed construction on Main & Clay, a 269-unit, luxury apartment complex at Clay and Main streets on the edge of the historic Butchertown in Louisville, Kentucky. 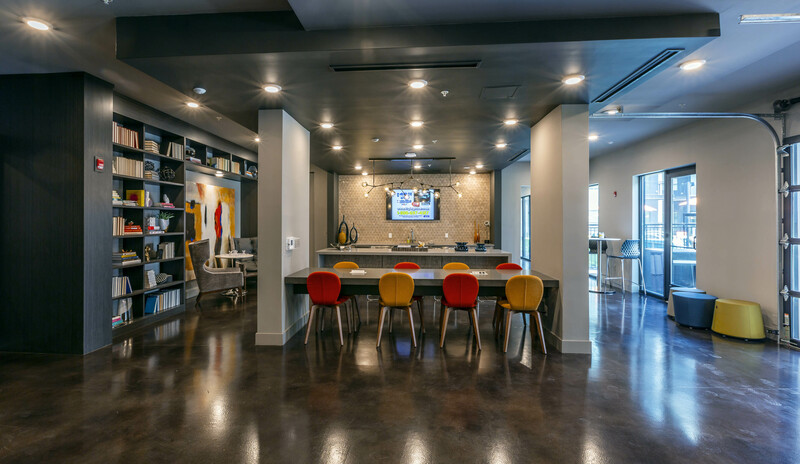 The property is just minutes from Louisville’s urban core and NULU neighborhood. 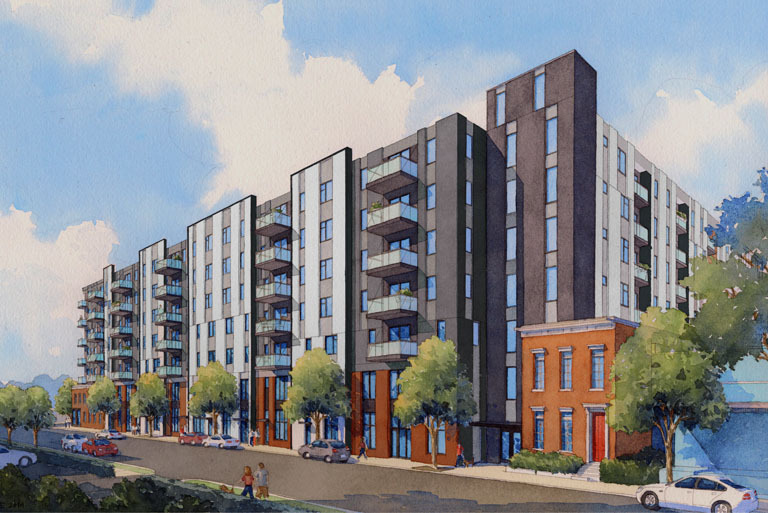 The seven-story structure consists of a mix of one- and two-bedroom units. 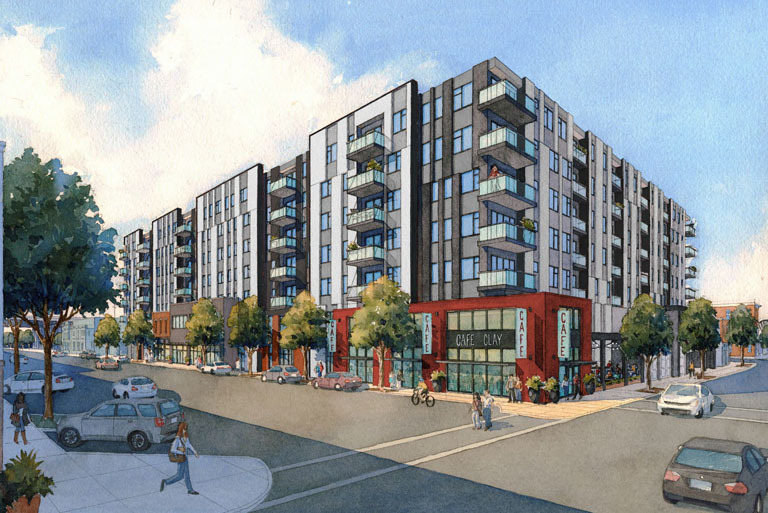 The project also included 2,400 square feet of ground-level retailing and a 380-space parking structure. 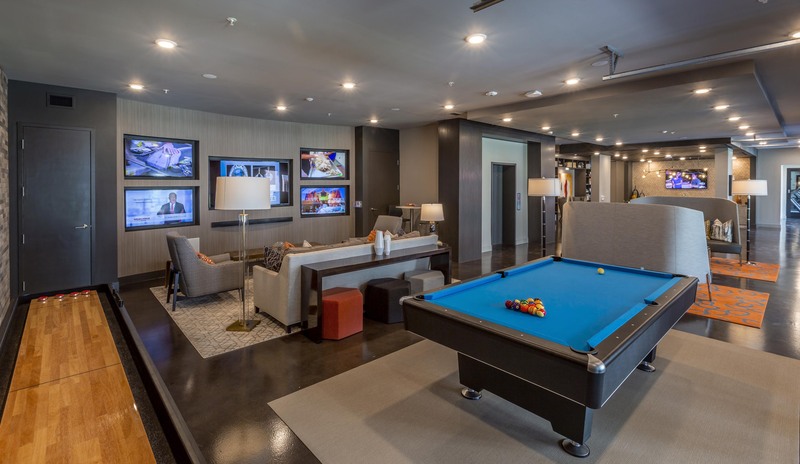 Site amenities include a clubroom, courtyard, outdoor kitchen, outdoor pool, outdoor patio, fitness center, pet spa and a dog walk.